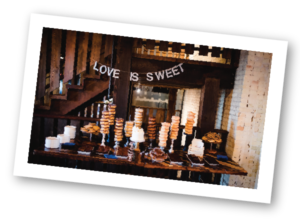 Say "I do" to delicious. Your love will last forever. Your Fosdal’s cake, maybe twenty minutes before it all gets gobbled up. Call or email us to schedule a complimentary tasting today. 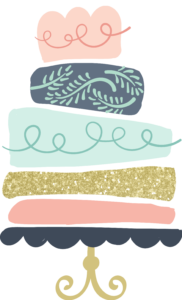 You meet with our cake decorator to taste some fresh-baked delicious cake, and together you’ll design the cake of your dreams, at a price you can afford. Have a specific idea of what you want? Great! 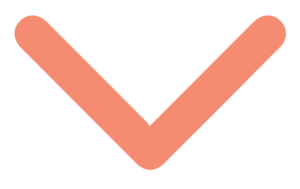 We’ll work with your inspiration images and colors. Have no idea? We’ll help you choose something beautiful. • Taste: our cakes are baked fresh just for you, and we guarantee they’re the yummiest you’ll find! 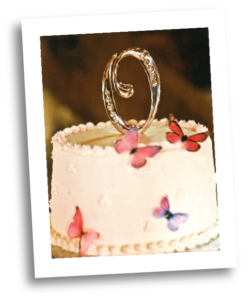 • Dependability: three generations of Wisconsinites have trusted us to make their special occasions delicious. • Friendliness: at Fosdal’s, you’ll always be greeted with a smile and treated with warmth. 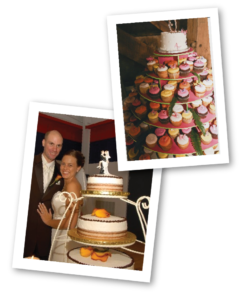 • Affordability: delicious, beautiful cakes, without the major markups often found at boutique wedding cake retailers. Cherry pies for each table? Donuts and milk as a midnight snack? Frosted sugar cookies with your picture on them? Unique dessert choices make for a sweet and unforgettable celebration. Our staff will work with you to design a custom suite of desserts sure to satisfy every guest’s sweet tooth. Palette of Light Photography & Film. 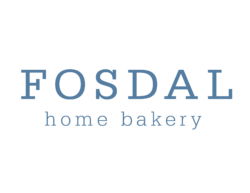 For more information or to schedule a tasting, call us at (608) 873–3073 or email fosdalhomebakery@gmail.com.